Once Upon a Twilight! 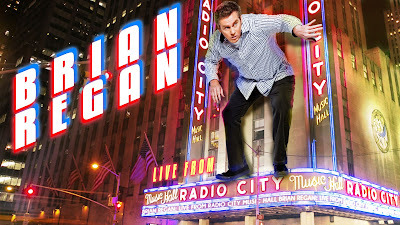 : BRIAN REGAN: LIVE FROM RADIO CITY MUSIC HALL comes to DVD February 16th! BRIAN REGAN: LIVE FROM RADIO CITY MUSIC HALL comes to DVD February 16th! Synopsis: Laugh along as Brian Regan brings his signature comedy to the famed Radio City Music Hall, in the first-ever live broadcast of a stand-up special in Comedy Central's history.